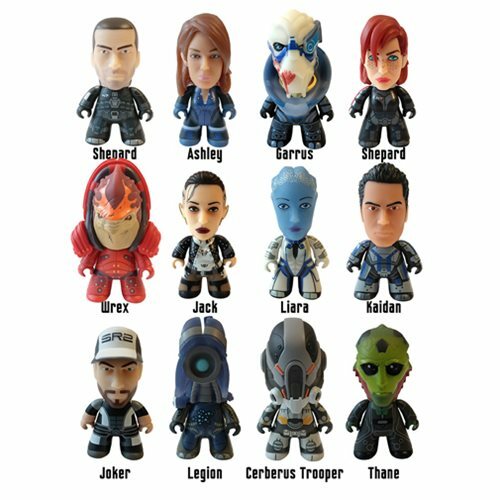 Titan presents your favorite characters from the hit video game, Mass Effect, as collectible 3-inch vinyl mini-figures. This Mass Effect Titans Normandy Collection includes Shepard, Ashley, Liara, Garrus, Joker, and more! Each 3-inch mini-figure comes blind-boxed and there are 4 hidden chase figures to collect too! Ages 15 and up.